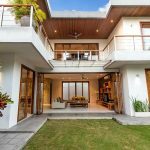 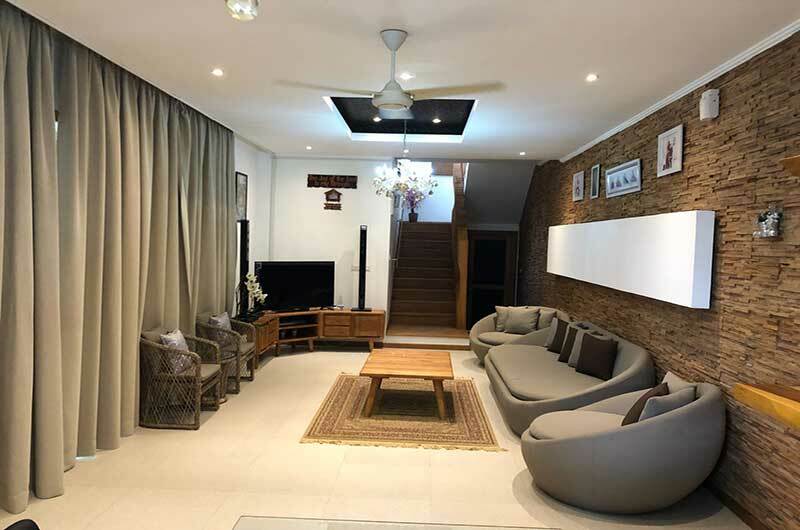 Umalas Holiday Private Villa With Best Location is one of the best private villas in Bali located near rice fields in the village of Umalas. 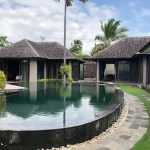 This village is in southwest Bali. 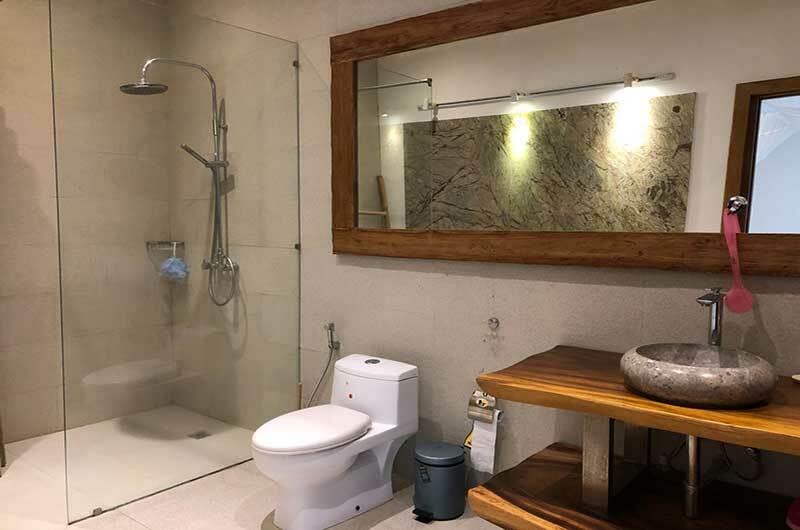 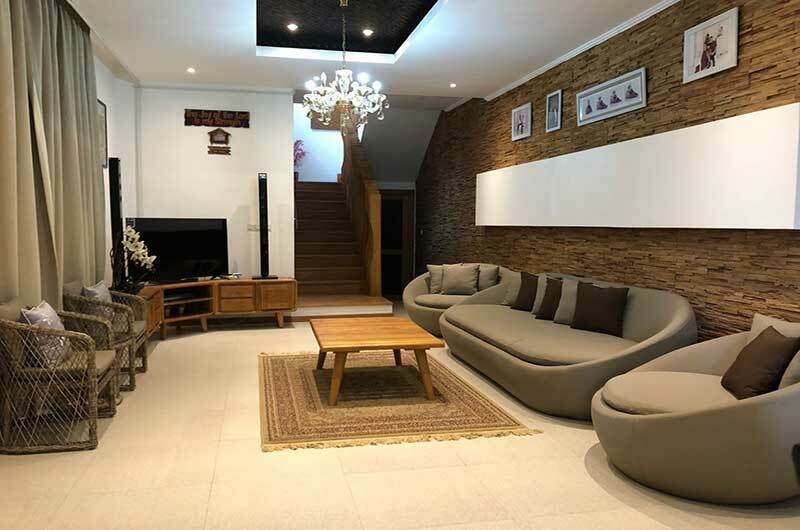 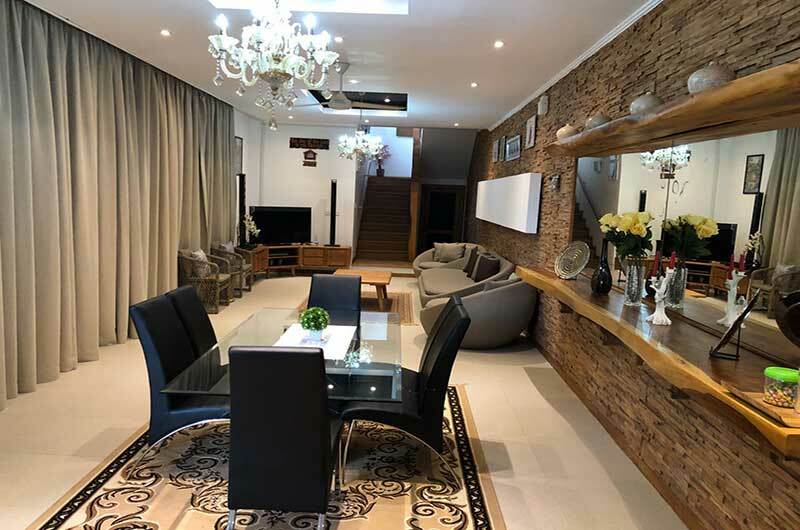 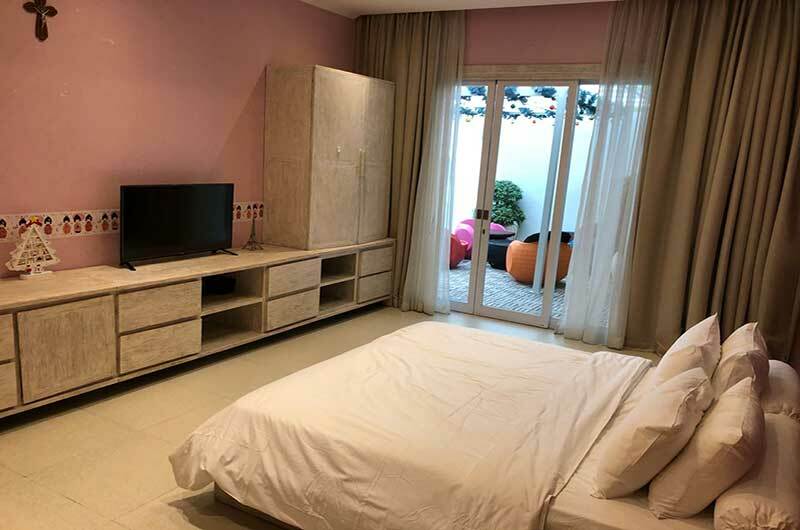 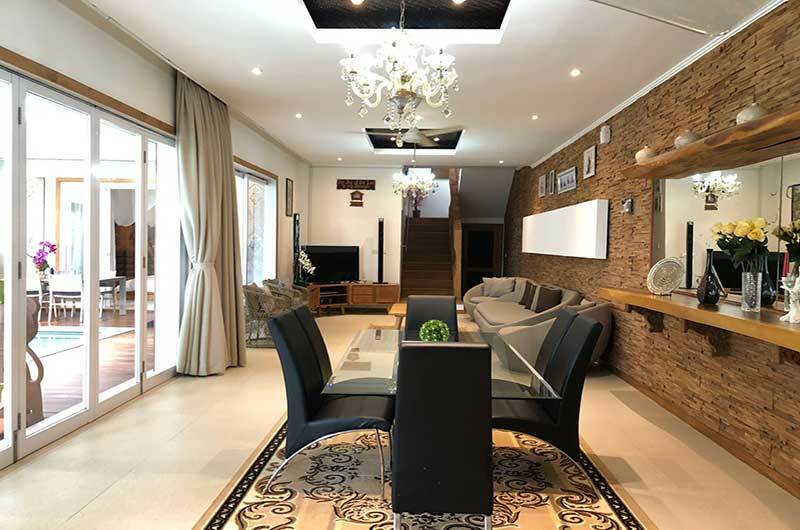 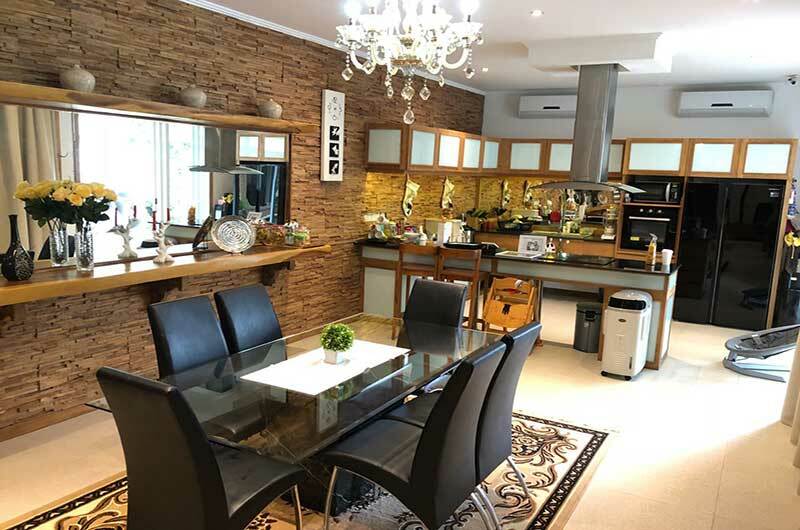 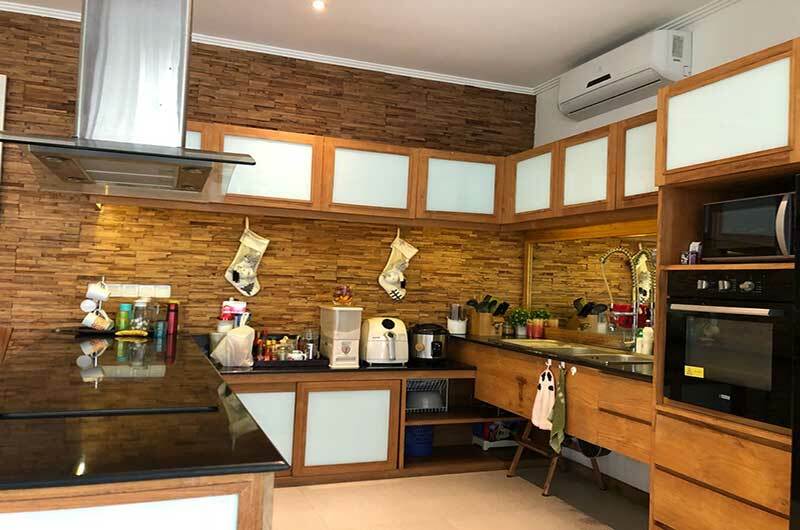 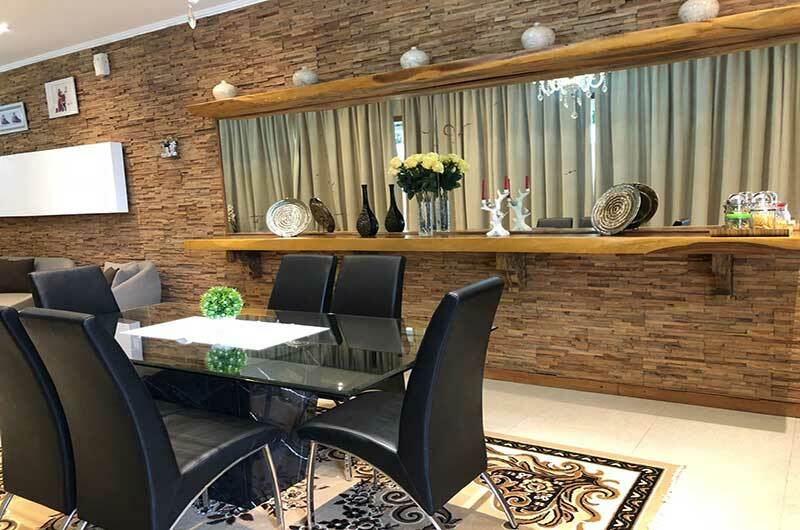 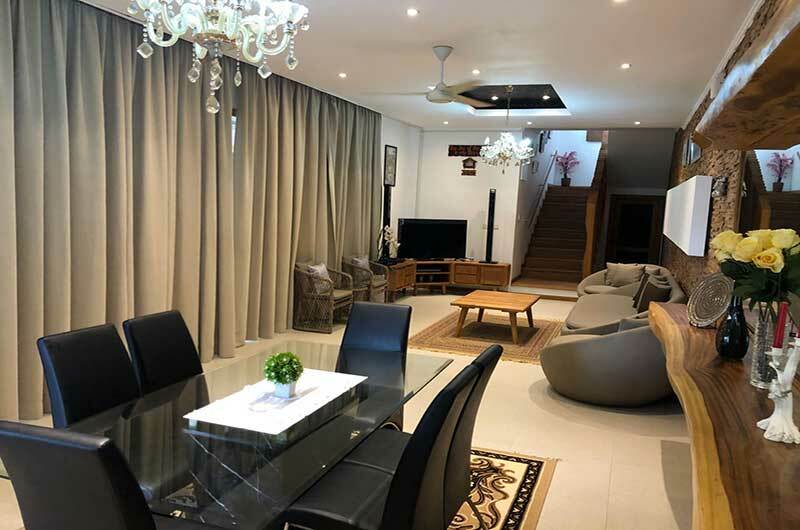 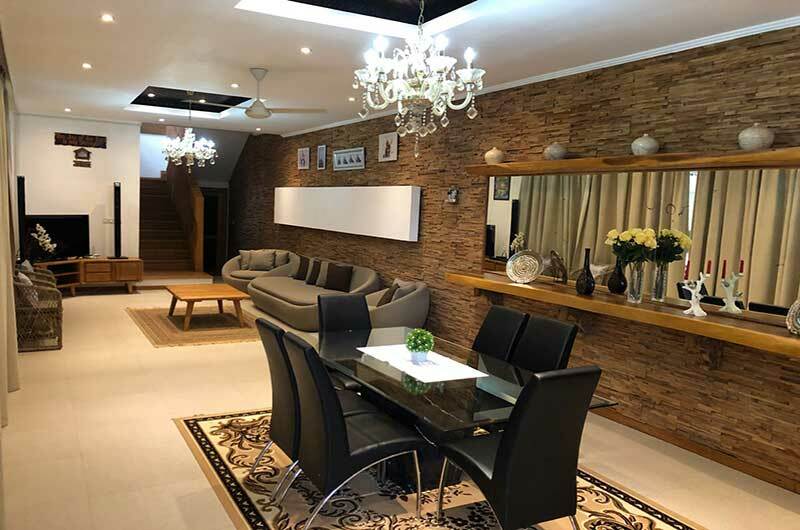 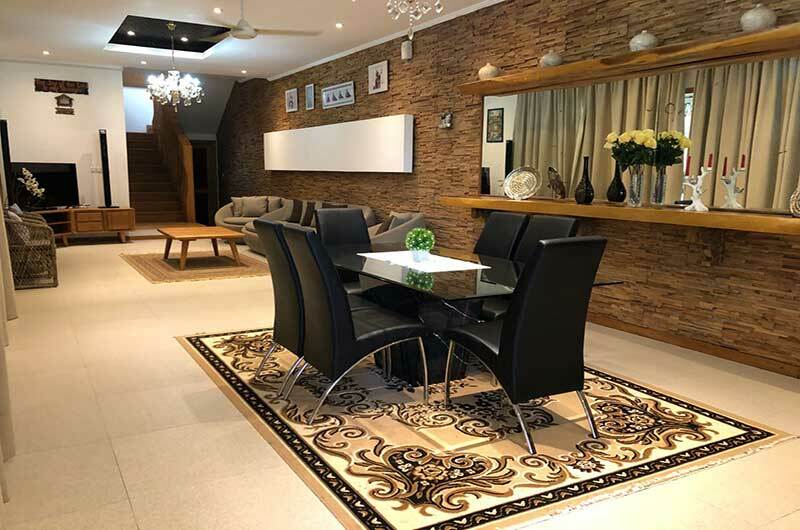 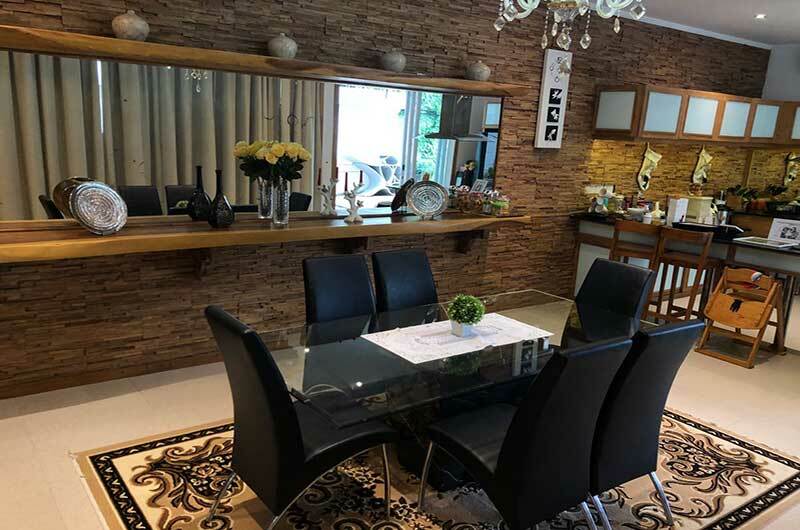 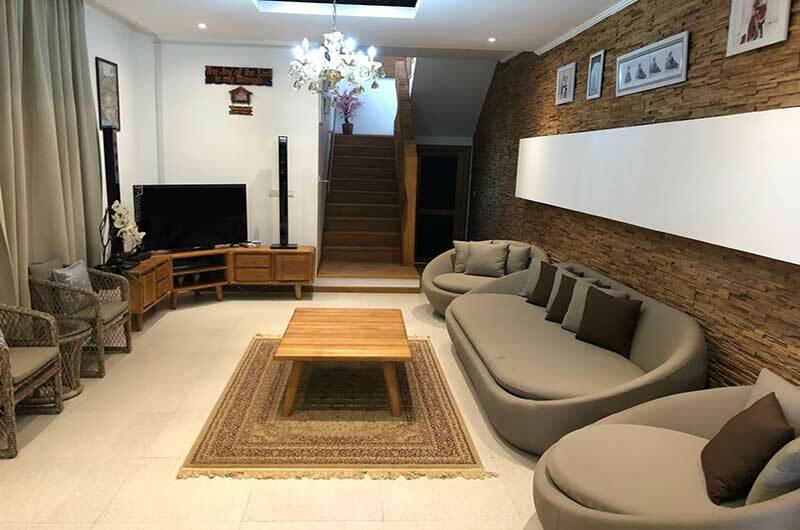 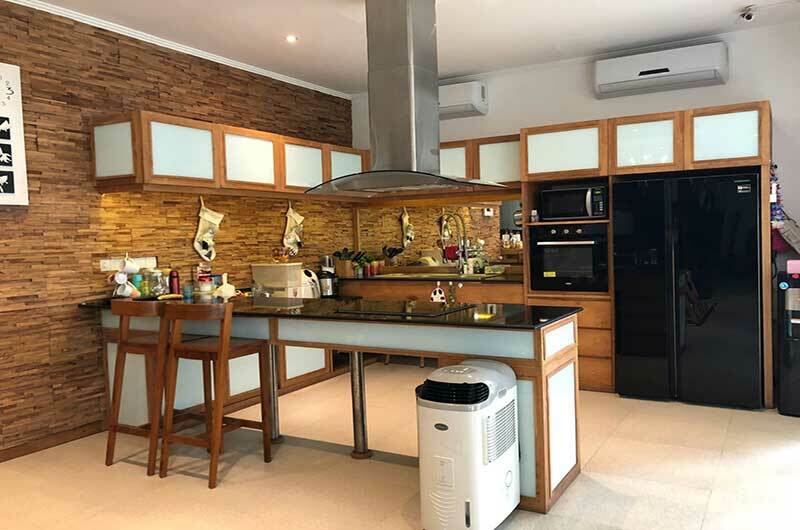 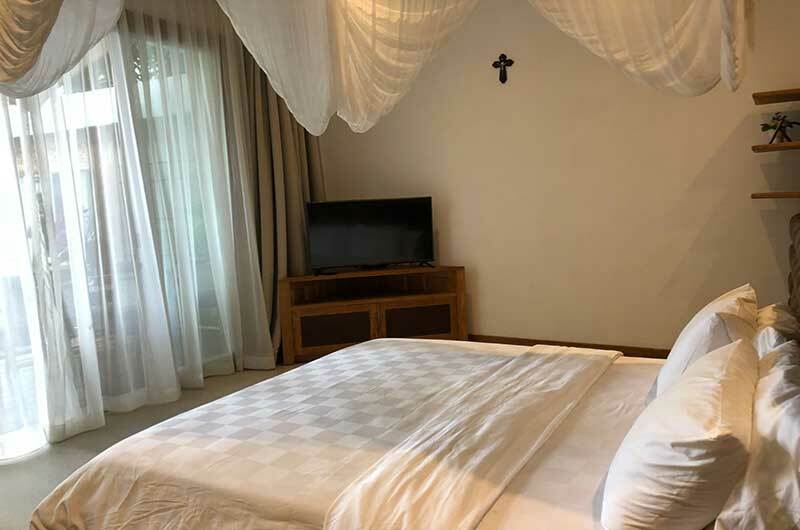 Inside the Umalas Holiday Private Villa With Best Location has 2 bedrooms, you will get a magnificent decoration with 2 bedrooms as the main facility. 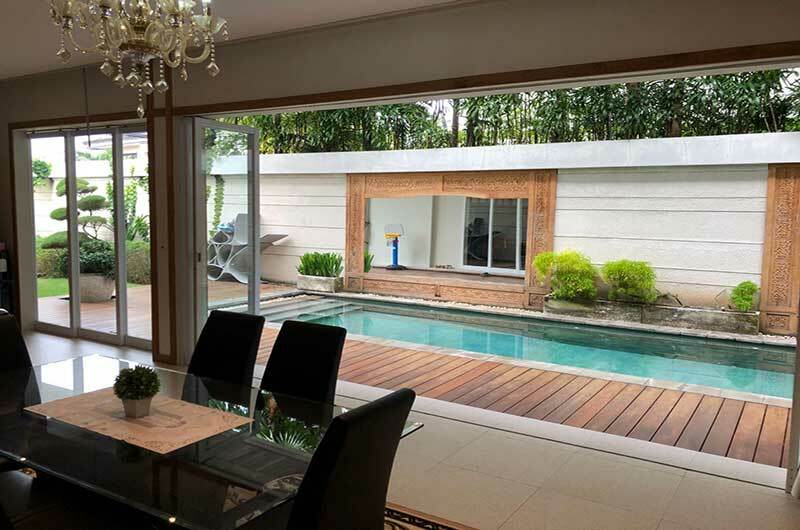 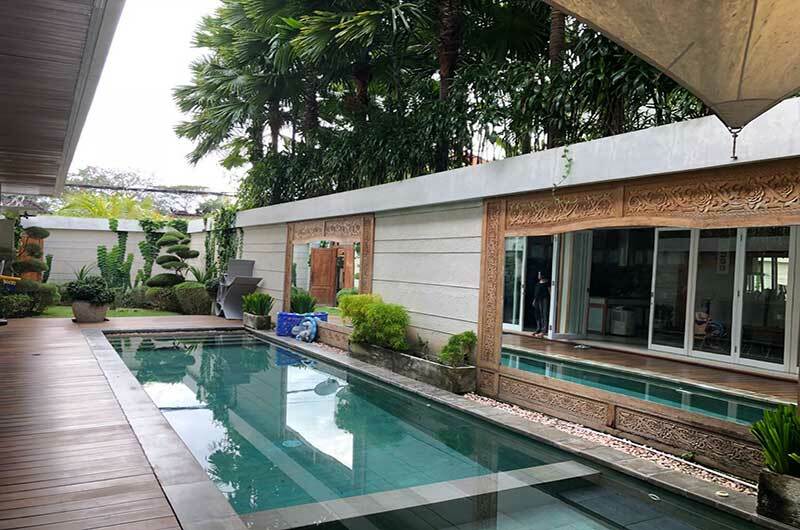 The design truly represents Balinese style with a modern minimalist touch. 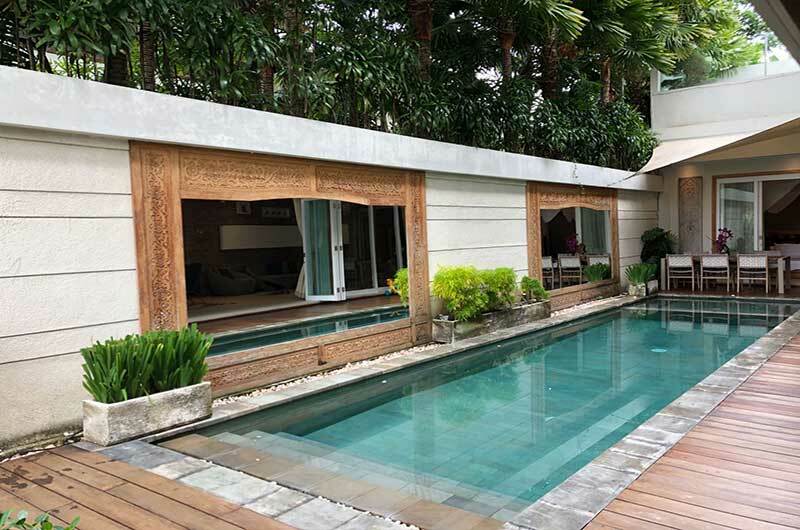 This Bali Villas accommodation can really get the ultimate holiday experience of Balinese guests. 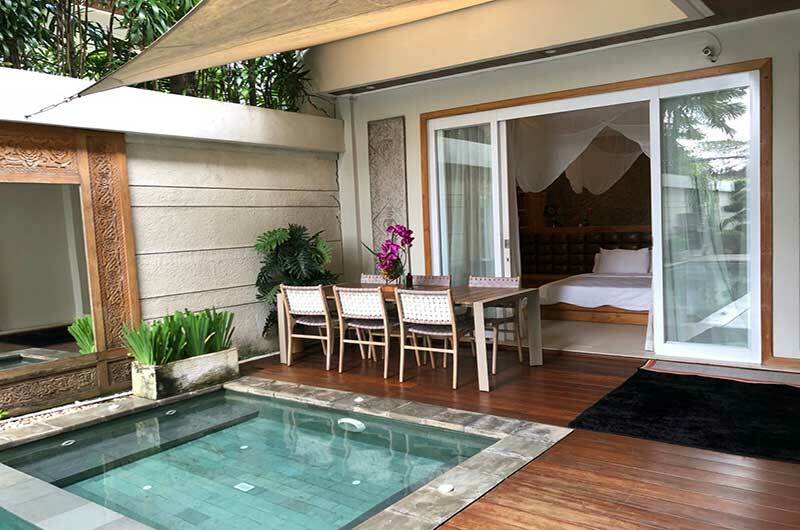 To be sure, you will get better privacy and better prices than staying at a hotel throughout your vacation. 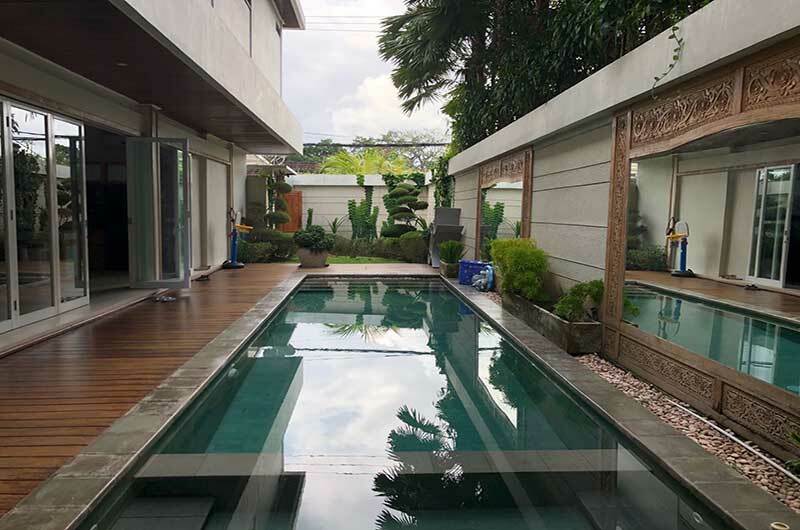 When you enter the villa, you will walk through the cobbled streets in passing tropical green gardens and beautiful views of the pool. 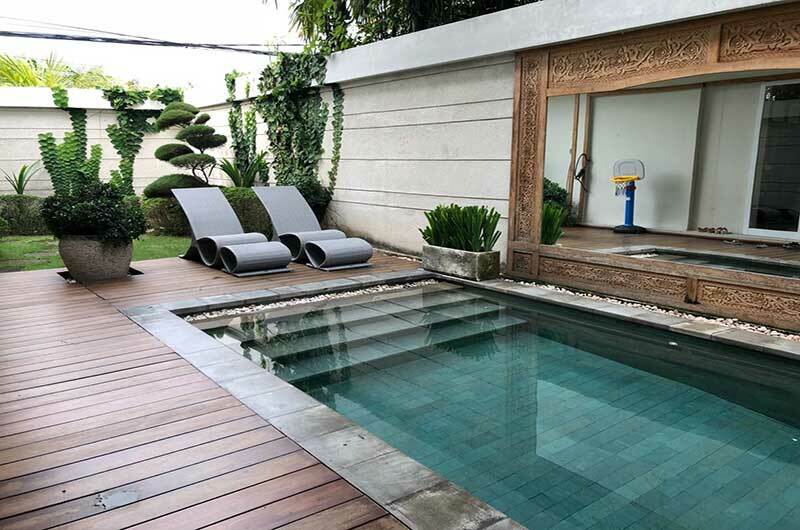 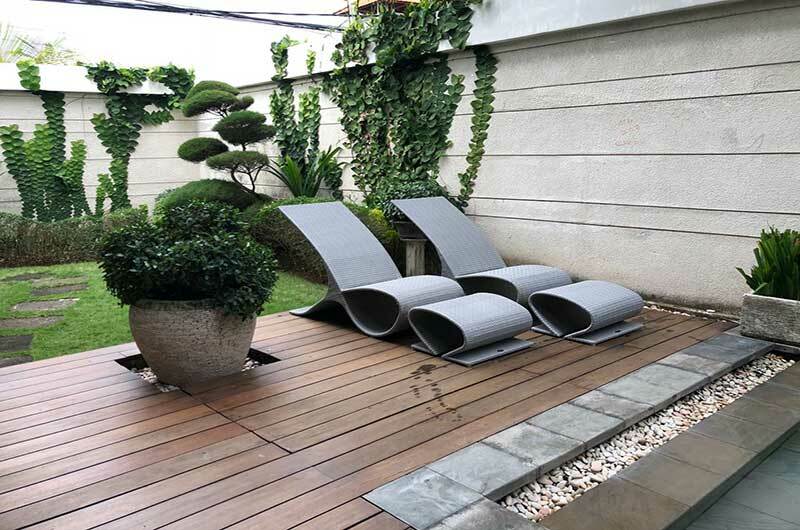 In addition to a private swimming pool, there is a comfortable sunbathing area. 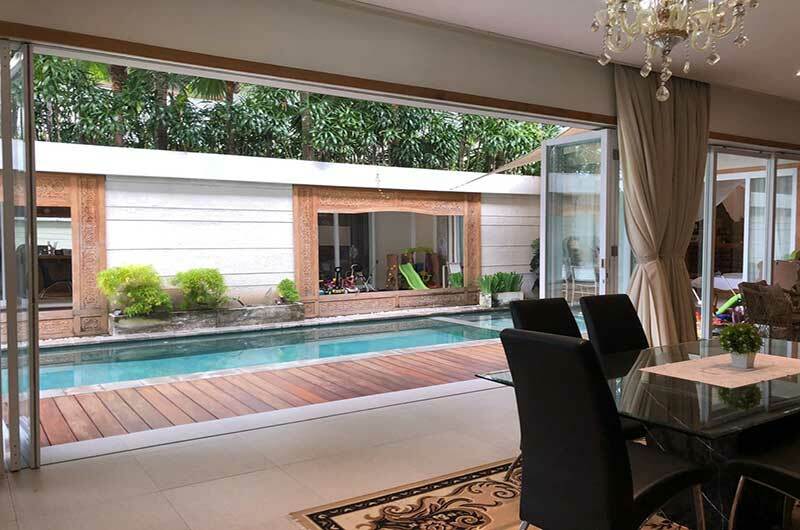 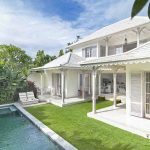 Bali Accommodation Villa Istana Dua is the right choice for you with your family or friends. 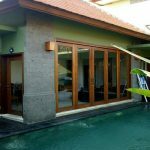 The villa’s living and dining rooms are sliding glass doors to the beauty overlooking the private pool. 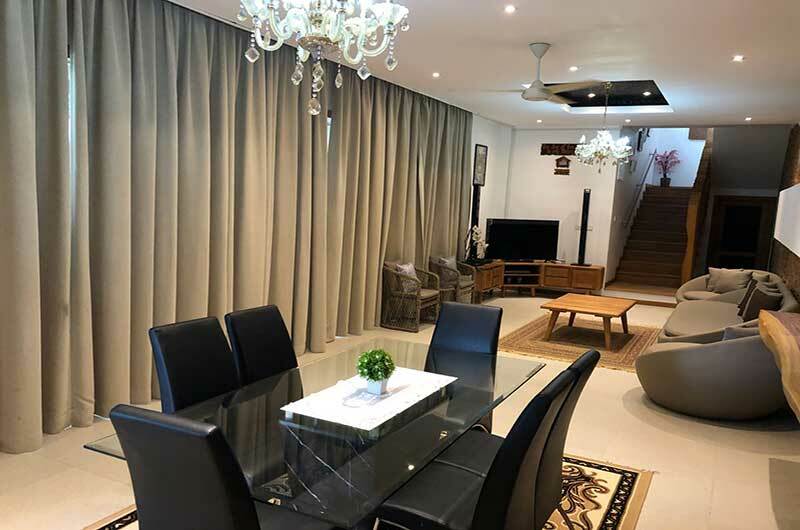 You can draw curtains to let the warmth of the sun fill the room while enjoying your dinner or watching TV on a comfortable sofa. 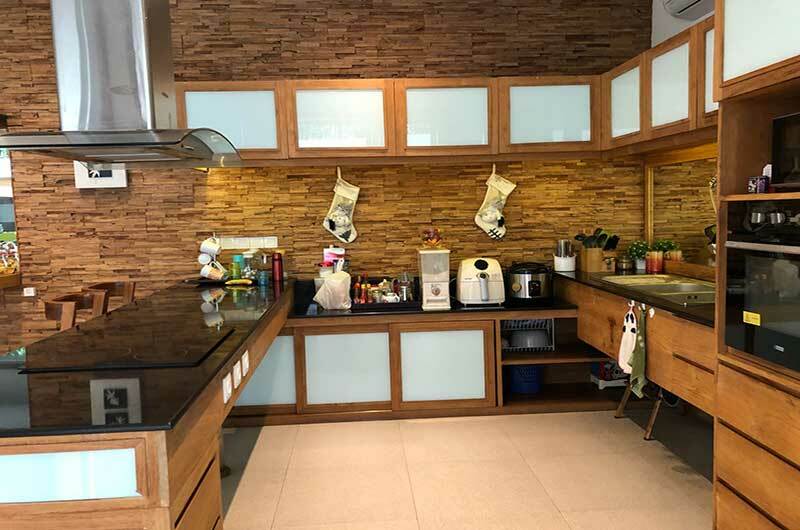 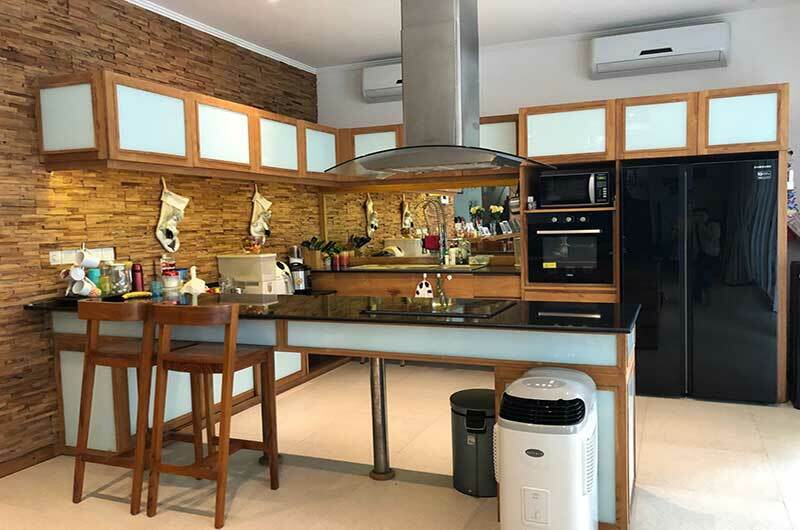 The kitchen in this villa is designed with an open concept with a retractable bench and a glossy marble table. 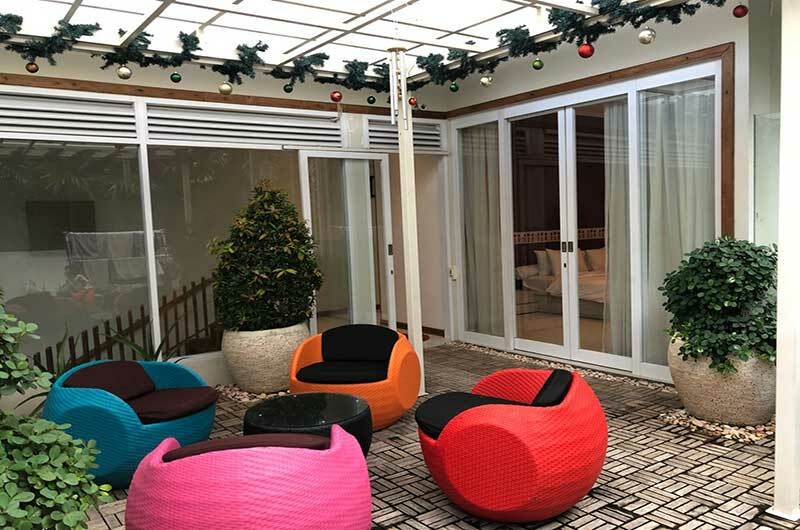 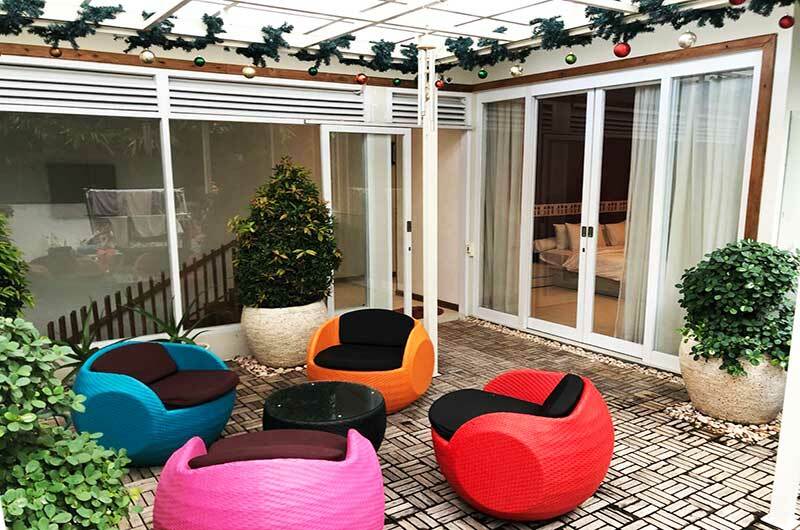 Where you can enjoy food while being pampered with views of the beautiful green tropical garden. 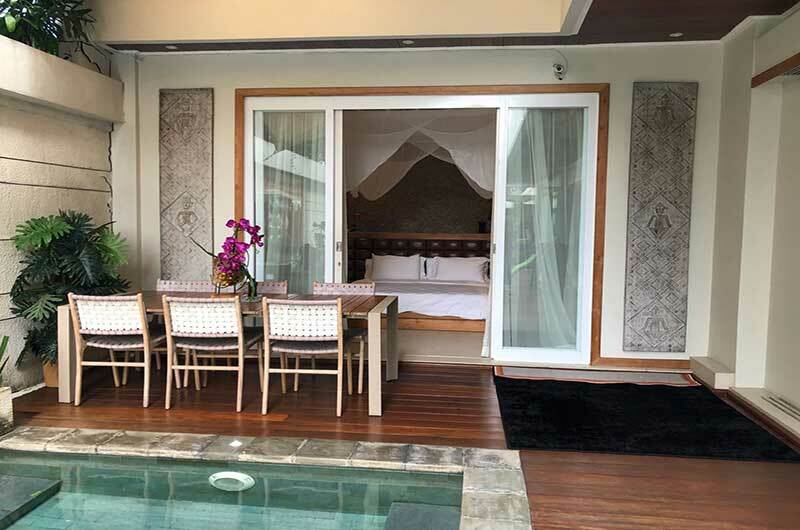 Umalas Holiday Private Villa With Best Location offers two luxurious bedrooms located on the second floor of the villa. 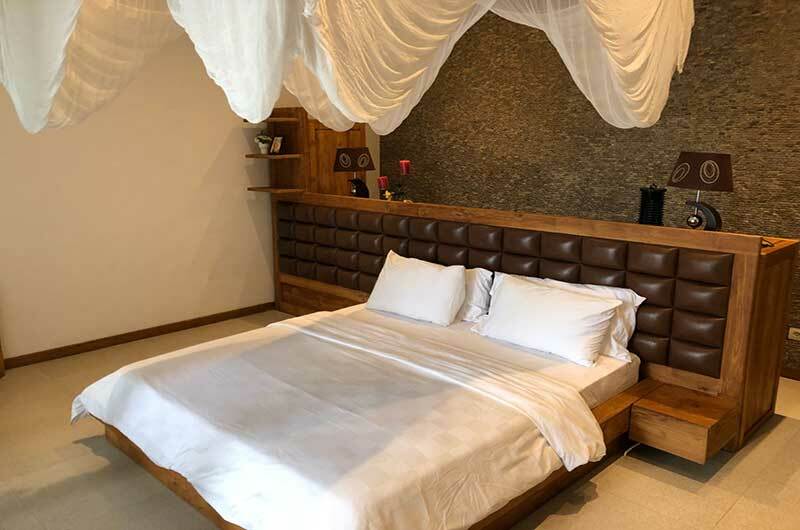 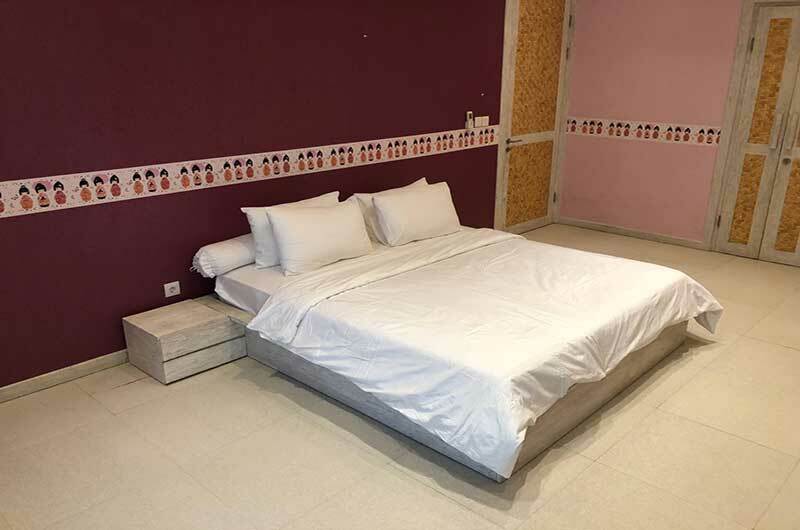 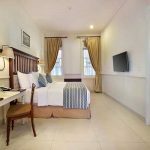 Both rooms are equipped with king-size beds, exotic wood furniture and there is a flat-screen satellite TV and DVD Player. 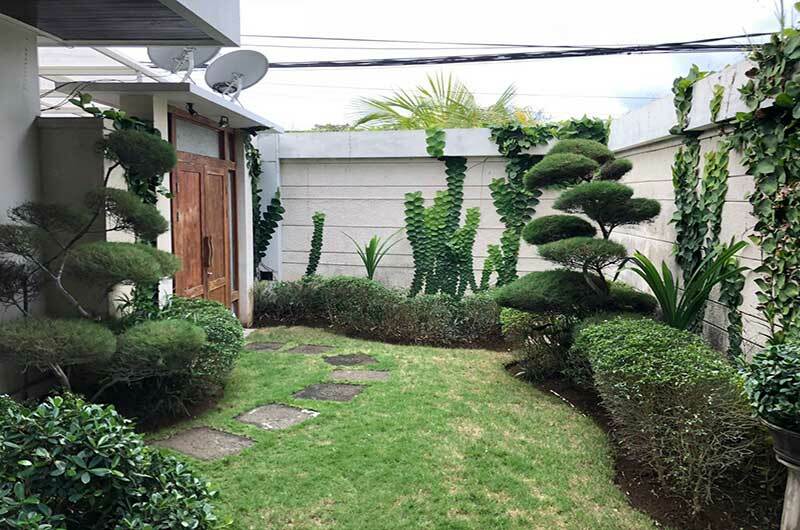 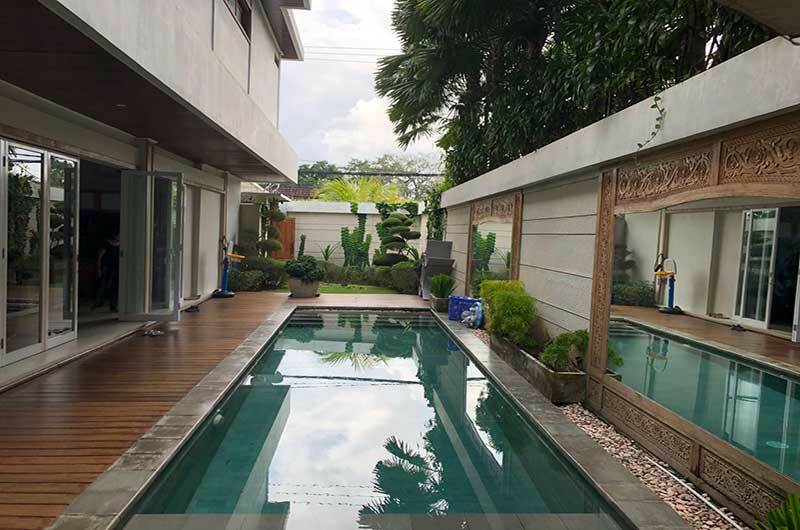 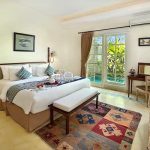 Both bedrooms lead directly to the terrace, so you can step out of the balcony to enjoy the view of the beautiful green tropical garden and the beautiful swimming pool. 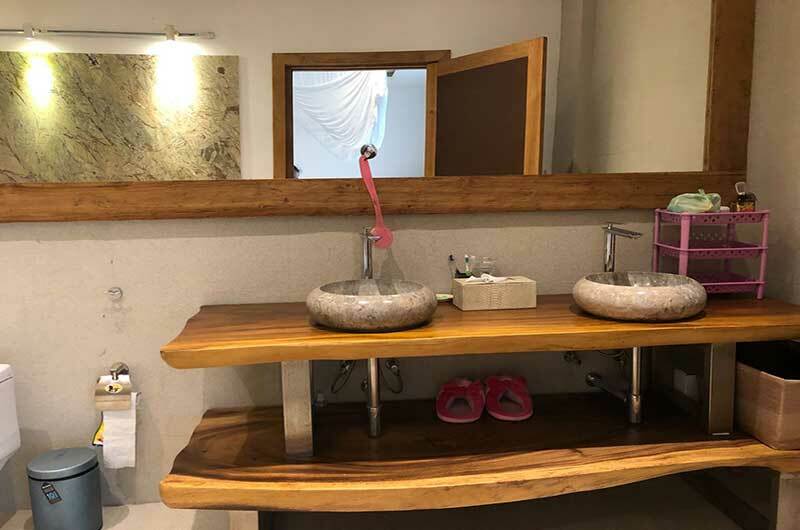 As well as the rooms are also equipped with a bathtub. 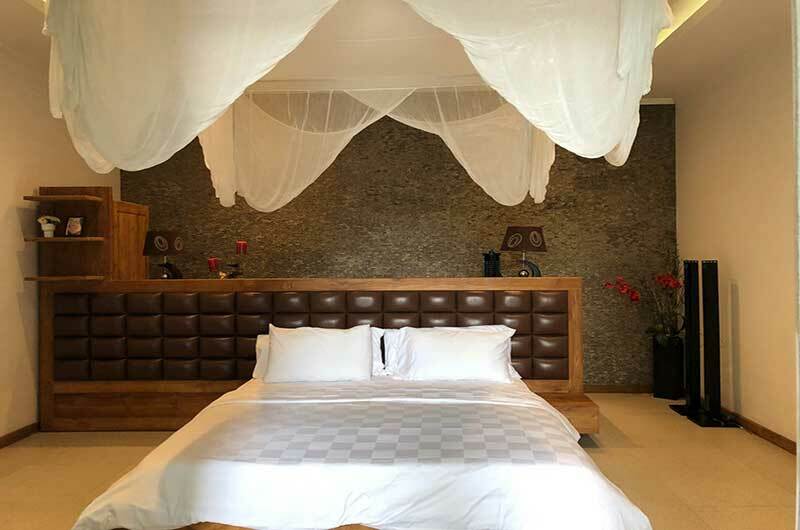 If you are tired of being in a villa room, you can pamper yourself while lying by the pool or you can relax on the sofa while reading a book, take a nap while enjoying fresh and cold cocktails.